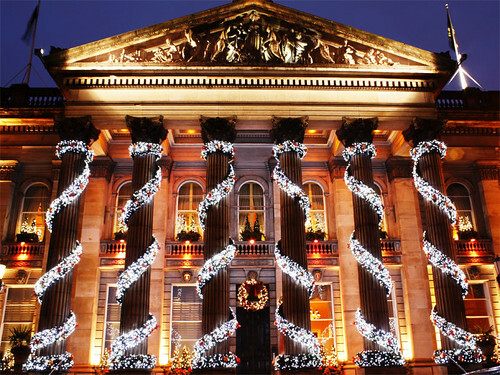 Our photographs of Edinburgh landmarks capture the unique ambience and experience of Scotland’s capital during the festive season. 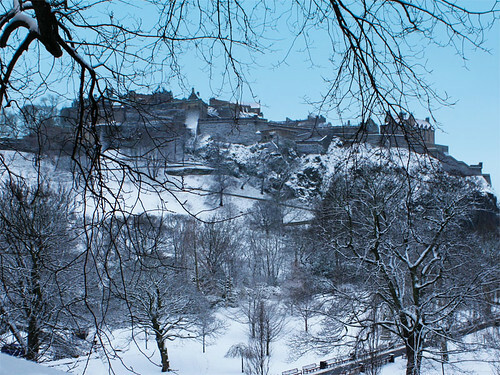 Edinburgh Castle from East Princes Street Gardens. 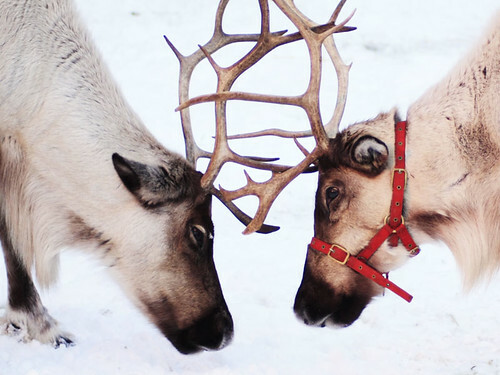 Reindeer, West Princes Street Gardens, Edinburgh. The Dome, George Street, Edinburgh. 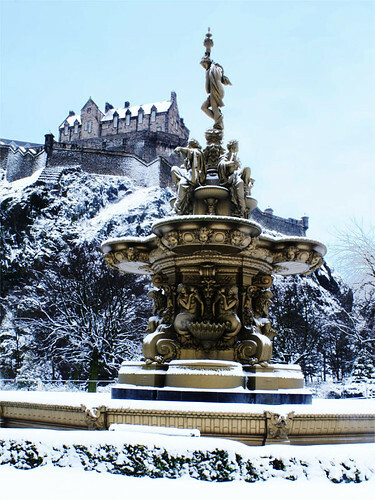 The Ross Fountain, Princes Street Gardens, Edinburgh. 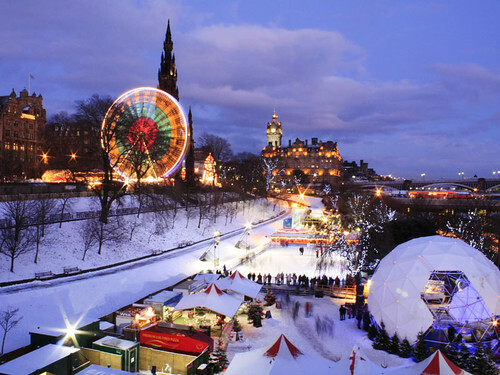 Scott Monument and winter festival attractions in East Princes Street Gardens. 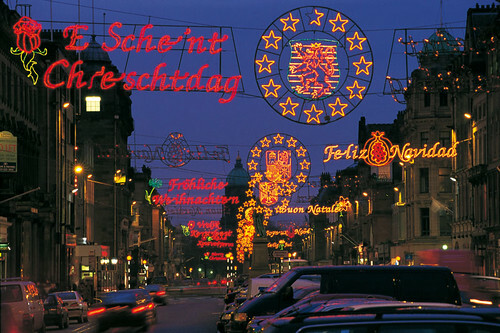 Christmas lights on George Street (1998). These multi-language lights are no longer in use but they look much more festive compare to the current Christmas lights. General Assembly Hall of the Church of Scotland, The Mound, Edinburgh Scotland. 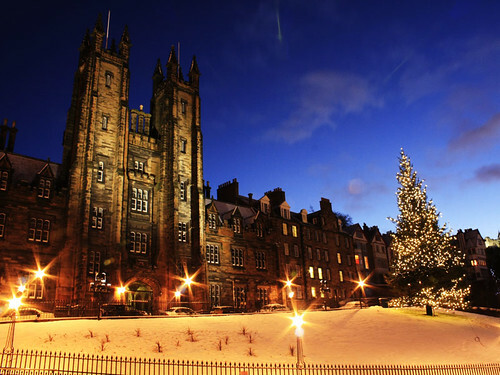 The tree gifted by Hordaland County Council marks Edinburgh’s historic and cultural links with Norway since the Second World War. Wow, amazing photographs! You’re very good at night-time photography. I was thinking of going into town one evening to take some shots.